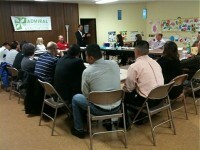 The Admiral Neighborhood Association (ANA) provides a forum for community discussion and organizes events that help Admiral thrive. 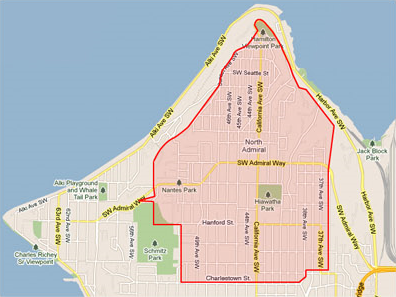 The Admiral District is located on the Duwamish Head mesa, the northernmost point of the West Seattle peninsula. (See map at right). About 11,000 people live here, and of those residents, 16% are under 18 years of age, 46% are renters, 14% speak a language other than English at home, and 16% are age 65 or over. See our Neighborhood Snapshot for more fun facts! ANA general meetings are held every other month at the Sanctuary at Admiral (2656 42nd Ave SW, Seattle, WA 98116). Come to a meeting, get involved! 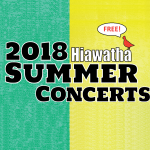 Join us as we discuss the what’s happening around the neighborhood! All are invited! In August we typically do not hold a meeting, and December’s gathering is usually social so you won’t find agendas or minutes for those months. Please click on the links below to download current or archived meeting Agendas and Minutes.